When it comes to smartwatches, Apple Watch is clearly a winner. 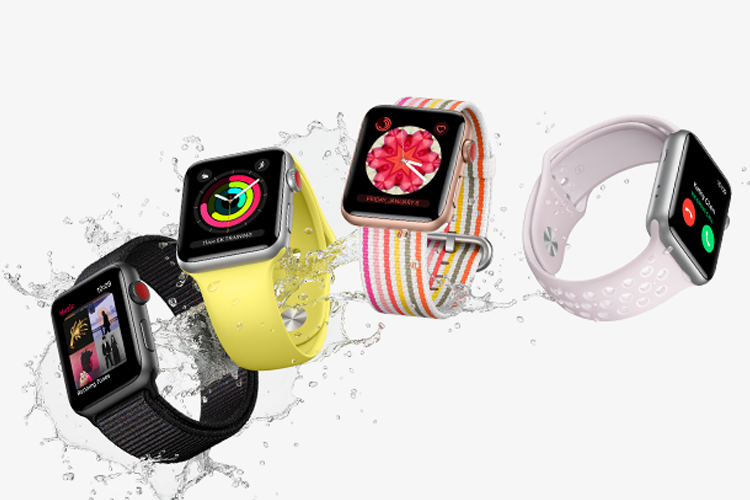 With sophisticated activity tracking tech, cellular connectivity, and smart algorithms that have been proven to accurately predict the troublesome conditions of the heart, Apple Watch stands out of the crowd. If you’ve been wanting to get one for yourself or someone close to you who might need to watch their fitness, right now is a good time as the Apple Watch Series 3 is being sold for its lowest price ever. The non-cellular variant of the Apple Watch is available for Rs. 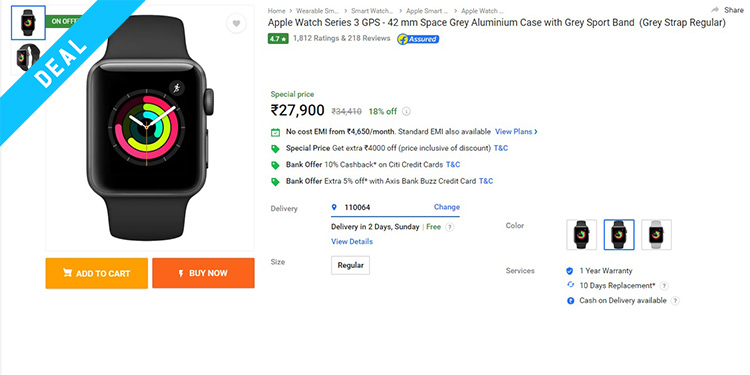 27,900 on Flipkart and the e-tailer is also tossing in a bunch of additional discount offers. Apart from the discount of Rs. 4,000 against the regular price, you can avail a cashback of Rs 2,000 using your Citi Bank credit card while Axis Bank Buzz credit card users can avail a discount of Rs 200. Flipkart has several EMI options including a zero-interest option from Bajaj Finserv starting at Rs 4,650 per month which should be convenient to most wanting to possess this beautiful and smart piece of hardware. The Apple Watch Series 3, like previous versions, is seen as the ultimate equipment for keeping track of your fitness. Its intelligent sensors track your activity throughout the day and automatically sense how you’re keeping yourself fit. The compatible Health app also helps you to connect and compare your fitness goals with friends while its swim-proof nature protects it against any corrosion from water, even when you’re busy challenging the waves of the ocean. The Breathe app also helps you regulate your heartbeat by guiding you how to breathe in moments of stress and anxiety. Additionally, you get a wide support from third-party developers for apps and apps that let you track trivial details like the amount of water you must drink daily based on your physical activity.